A few years ago, I made an extensive Christmas advent calendar for my daughter. I spent hours sewing it. For each day, there was a little pocket where I put a little piece of candy or a sticker for her to pull out each morning. I only used it one year, which seems crazy considering how much time and effort that I put into it. But as December 24th drew closer, my daughter lost interest in the calendar and even the candy. I started to realize that the purpose of Christmas, the one that we try to teach our family, wasn’t being reinforced with this particular advent activity. Now the the triplets are old enough to be excited for Christmas, we are starting a new tradition this year that will hopefully help all the kids understand why our family celebrates and how we can spend the holiday season thinking of others. 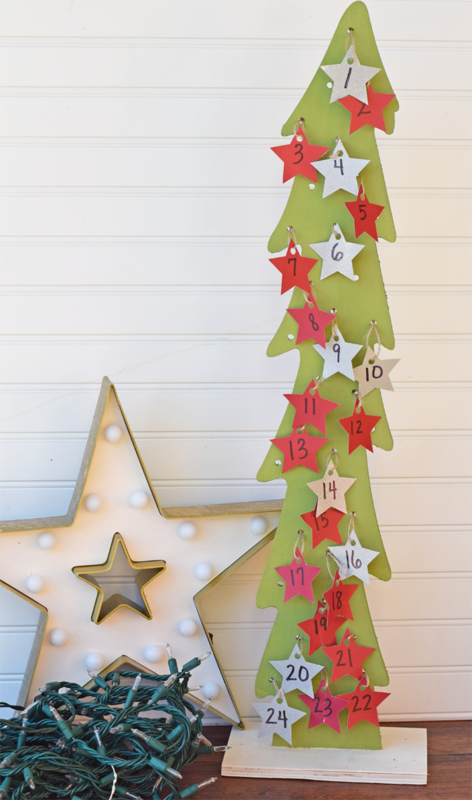 This DIY Christmas Tree Advent Calendar is an easy project that utilizes daily thankfulness or prayer prompts. Kids can even help make it! 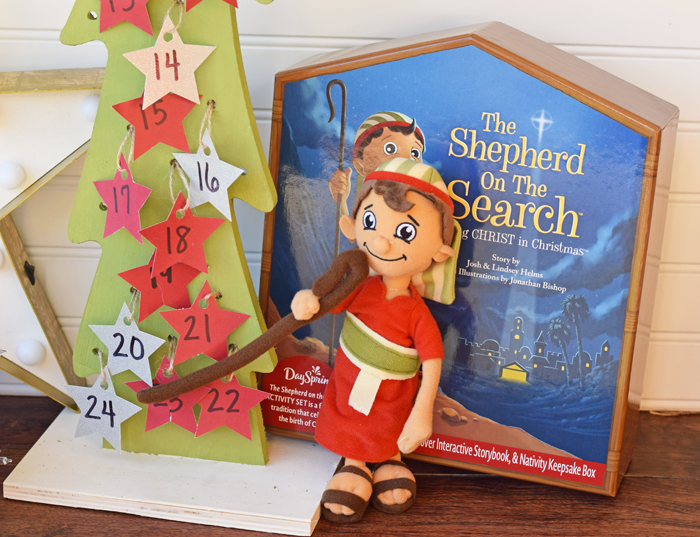 Read on for the supply list, instructions, and a special Shepherd on the Search tradition! Wooden tree with holes in it for lights. These are sold at arts and crafts stores. Be sure to get one with at least 24 holes. 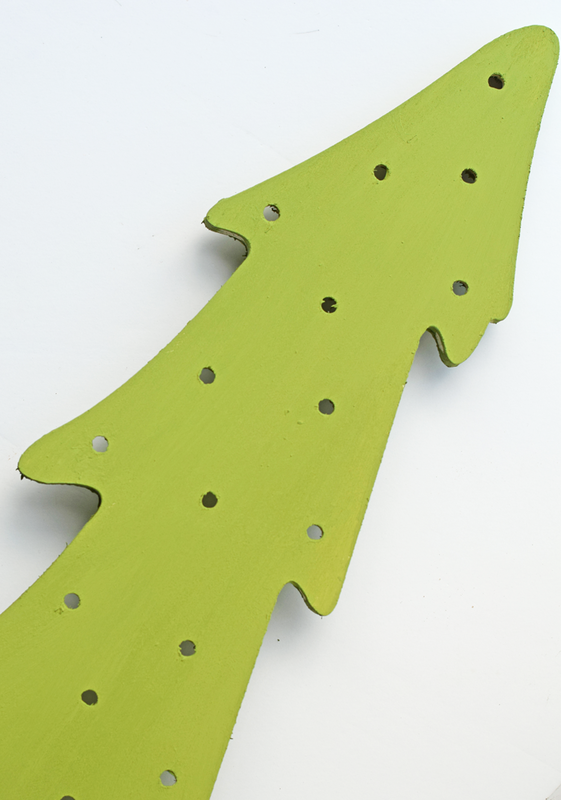 Paint the wooden tree green. Let it dry completely. With the black marker, number the stars from 1-24. 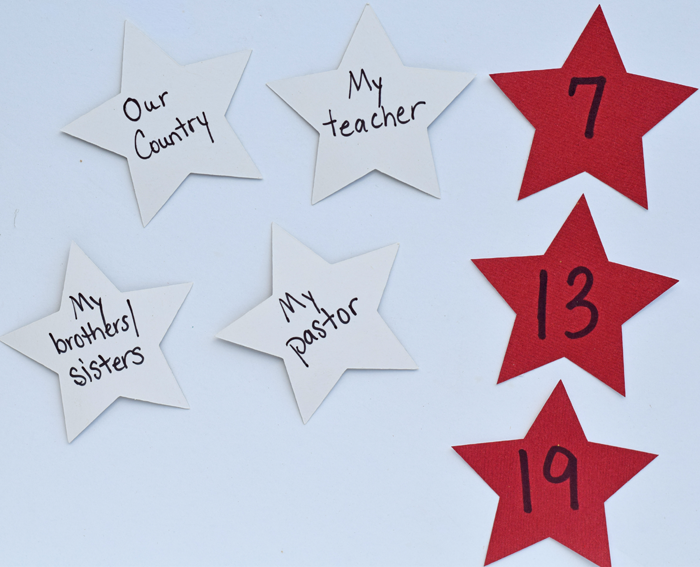 On the back of each star, write a different prompt. The purpose of these prompts can be something to be thankful for or something for which to pray. Punch a hole in the top of each star. 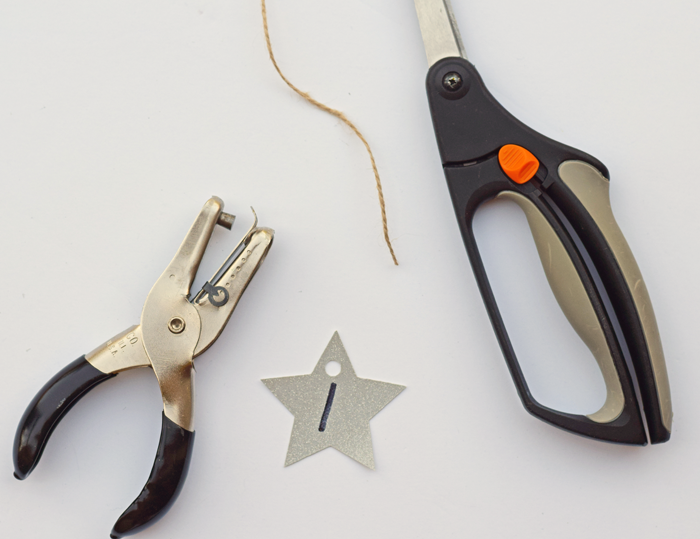 Cut a piece of twine for each star. 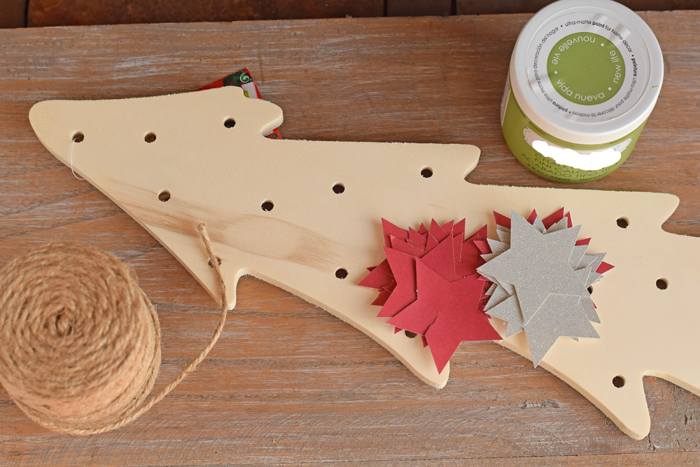 Thread the twine through the star and tie a knot at the top. Push the knot through the hole in the wood tree. Continue until all 24 stars are in the holes. 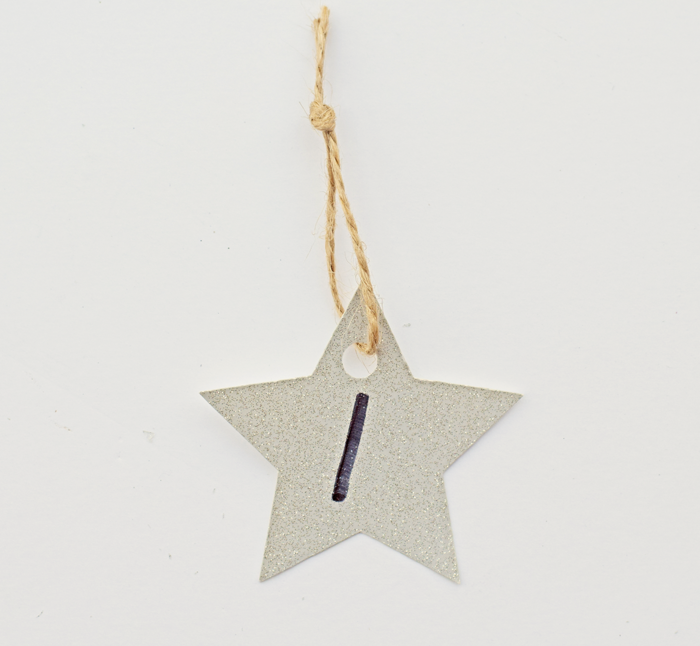 If your tree has more than 24 holes, you can leave them open or put lights in them for a lighted tree! 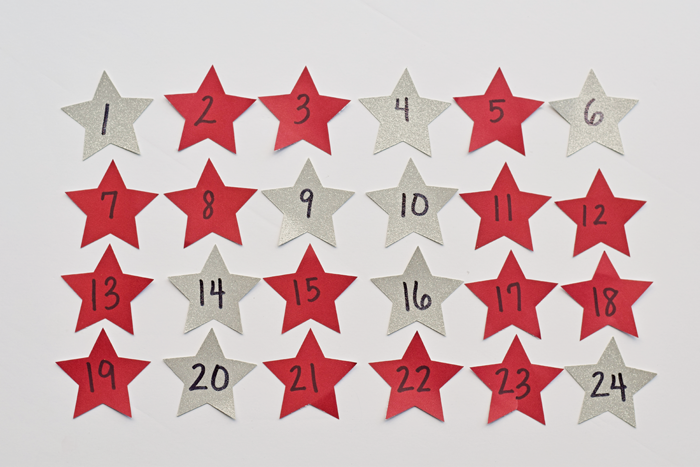 Continue until all 24 stars are in the holes. 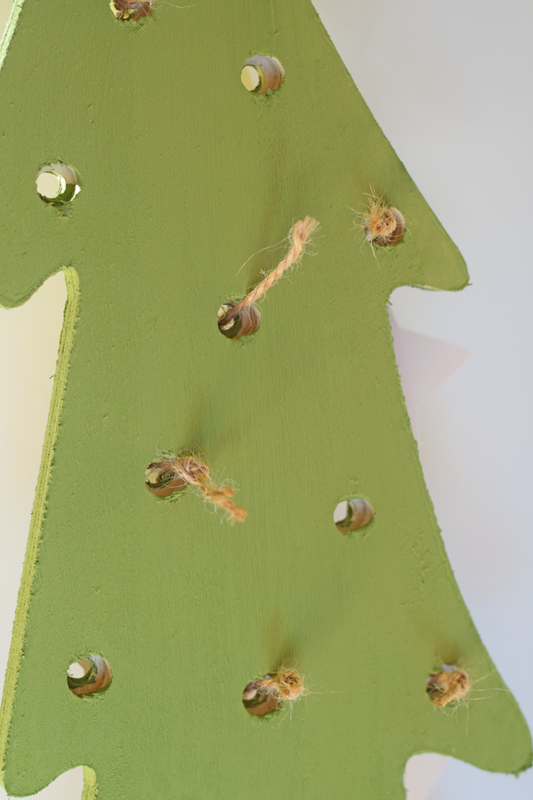 If your tree has more than 24 holes, you can leave them open or put lights in them for a lighted tree! For us, Christmas is about the birth of Christ. While we celebrate in the traditional ways with presents and family parties, that is not the most important thing that I want my children to remember about the holiday. 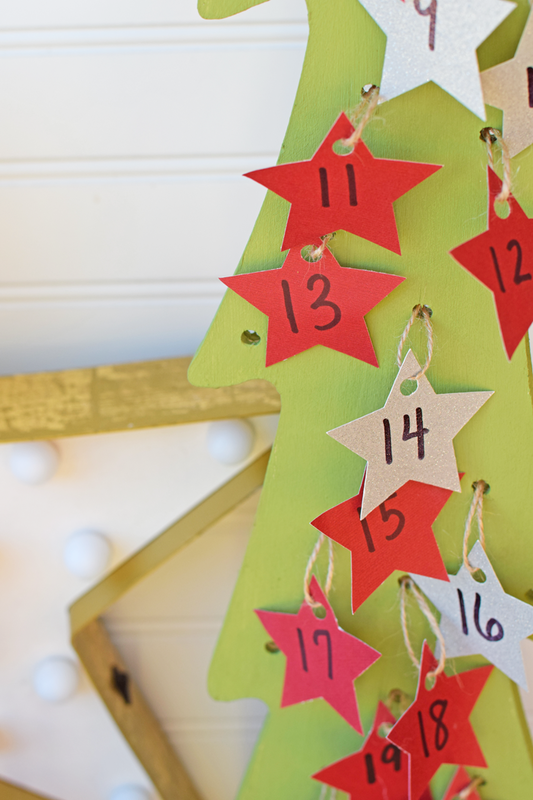 With the advent calendar, I am hoping to remind my kids each day in December that we are looking forward to something– that each day, we get closer to an event that does not center around Santa. Rather, we are focusing on the day that we celebrate the birth of Jesus, the Savior of the world. 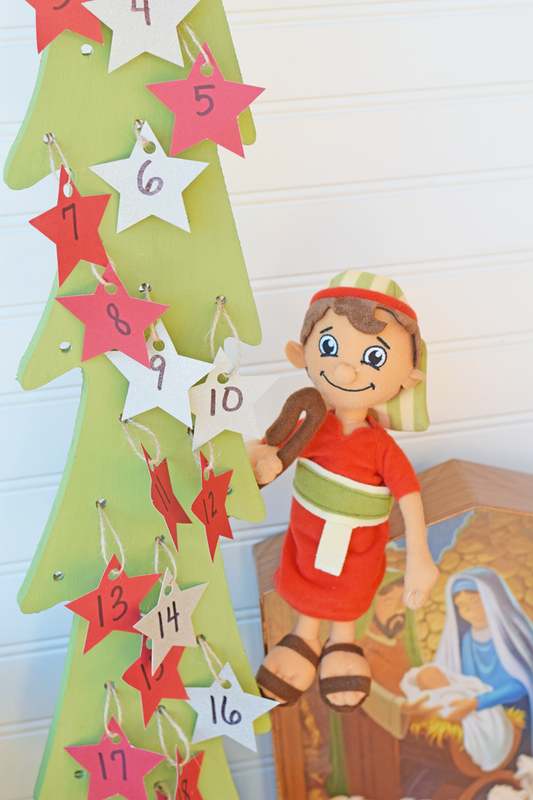 Outside of an advent calendar, another family tradition that reinforces this focus is The Shepherd on the Search. According to Luke 2:8-16, angels visited shepherds and gave them the wonderful tidings that the baby Jesus had been born. The shepherds followed the star on an epic journey to find the newborn Jesus. 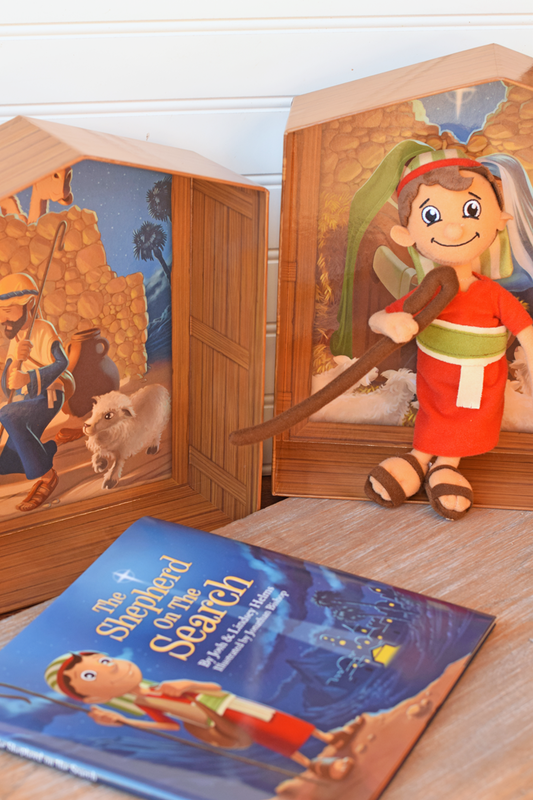 The Shepherd on the Search makes this story come alive with your very own shepherd for the kids. Your Shepherd’s journey begins whenever you choose during the Christmas season and ends on Christmas Day with the shepherd discovering baby Jesus in the manger. 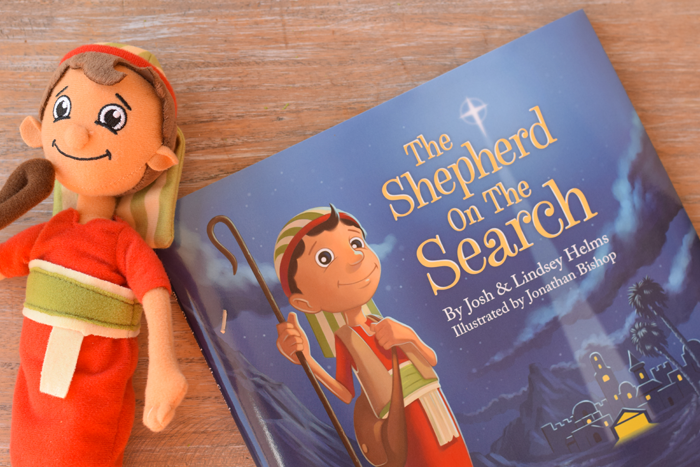 The Shepherd on the Search kit comes with a Shepherd and a beautifully illustrated children’s book. 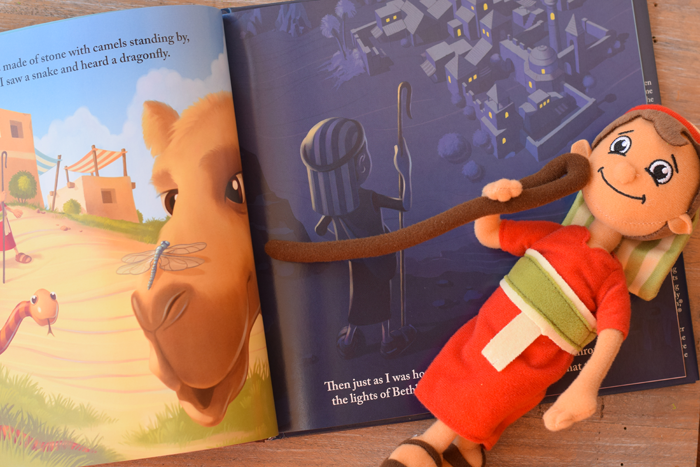 Let your children have fun choosing a name for their Shepherd! Hide the shepherd at night and let the kids search for him the next morning. 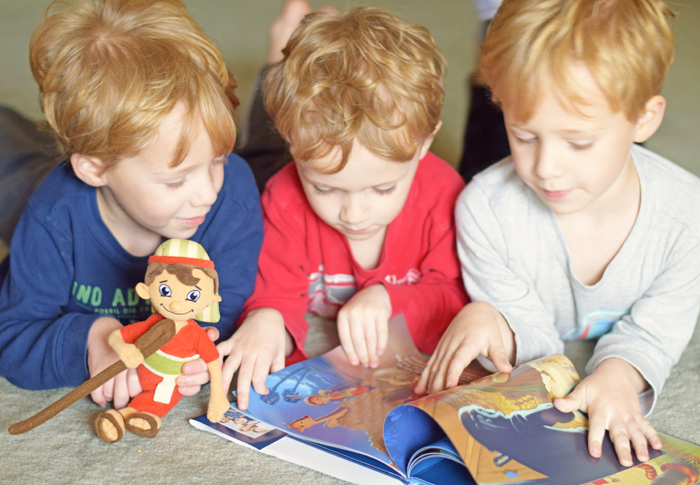 Retell the story each night as a reminder of the true meaning of Christmas. 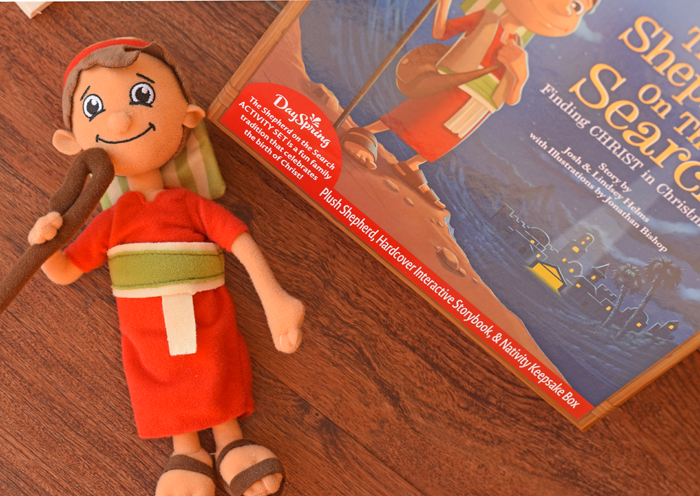 Beginning November 27th, DaySpring will provide daily adventures for families to do with their Shepherd. Choose from printable recipe cards for crafts, baking activities, games and more. Sign up at the Shepherd on the Search website to learn more! 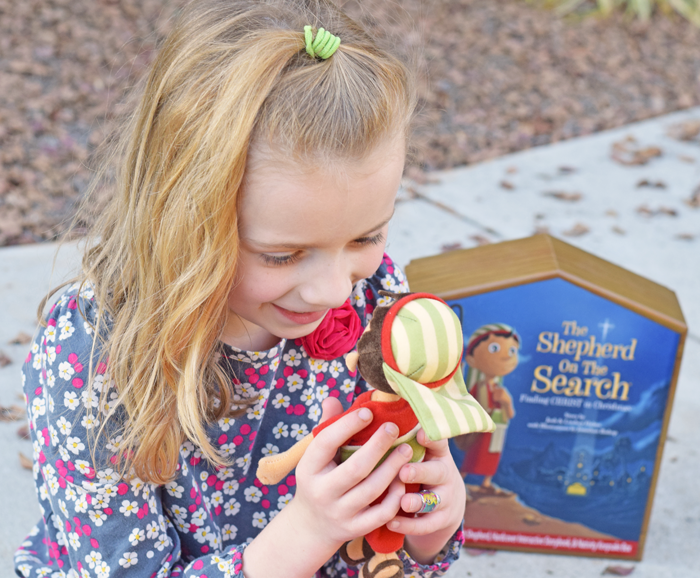 The Shepherd on the Search is available on the website, but it is also available at LifeWay Christian stores, Family Christian stores, select Hallmark Gold Crown stores and select Christian bookstores. See more with this video! 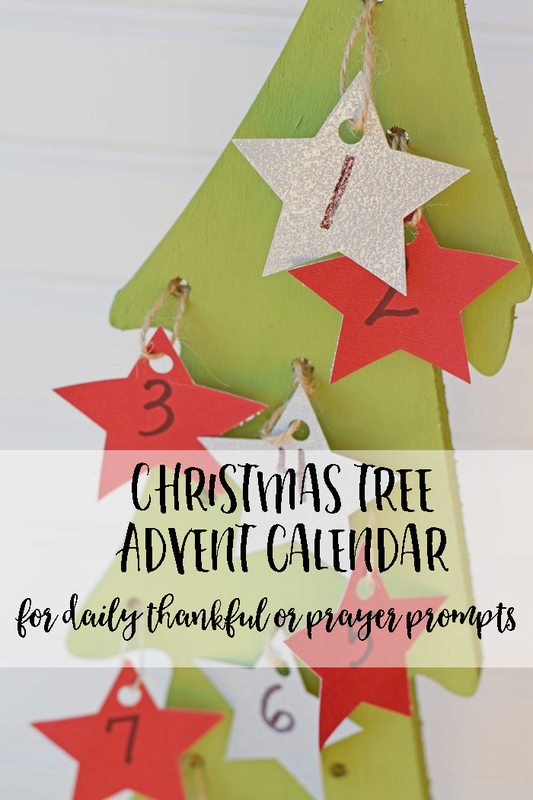 What advent activities does your family do? 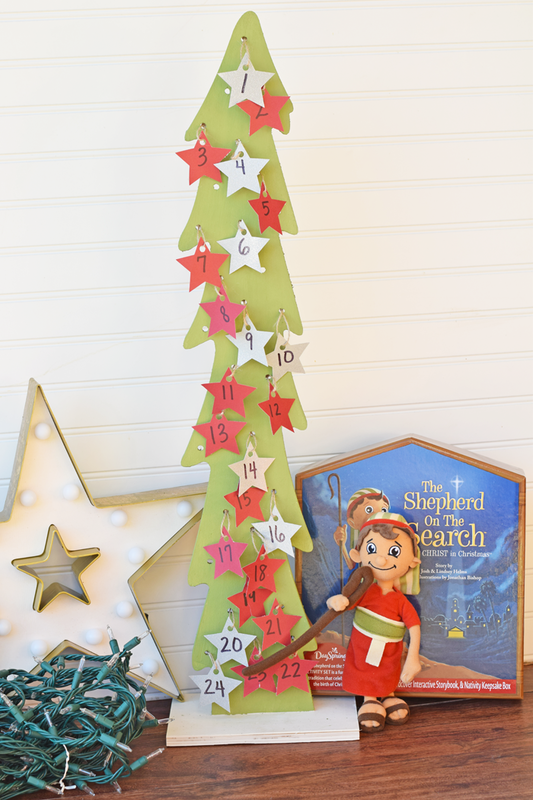 Awww I love the advent tree and the shepherd on the search is such a cute way to incorporate the true meaning of Christmas into your daily traditions leading up to Christmas.